WAV files usually are great in sounding quality but their large size makes them uncomfortable in use for portable flash players or listening from mobile phone, etc. Conversion to MP3 helps to save the memory space, and if to use proper converter, you can gain very high quality for comfortable listening. Of course most of users want to get WAV to MP3 converter free, or at least they would like to know what they need to pay for when purchasing a paid converter. Let’s find out what we have today on the audio converters market. 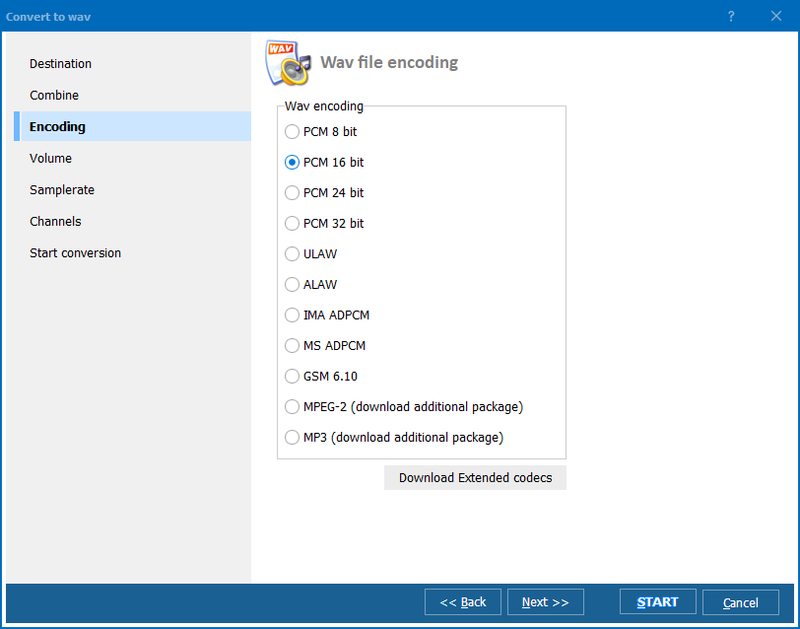 Speaking about free converter, the first that comes up to mind is WAV to MP3 Encoder (thouh it's tricky, the free version has a buy button and asks for $15). 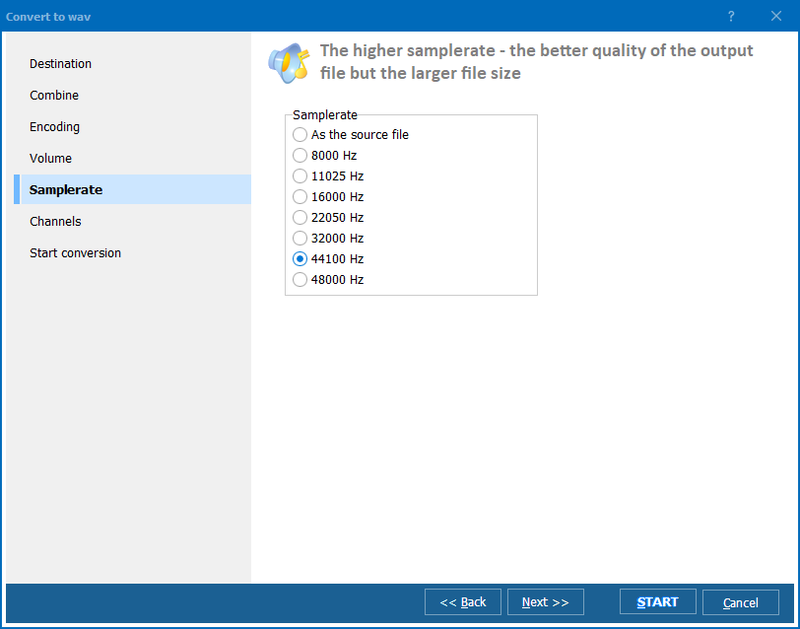 The program is small in size and offers only one feature – converting WAV files to MP3 format with ability to choose between bitrate/samplerate value pairs. Its only shortcoming is limited functionality. You won't find a VBR option. It even has conversion in batches, but it takes rather long time to form a source file list, adding each item separately. 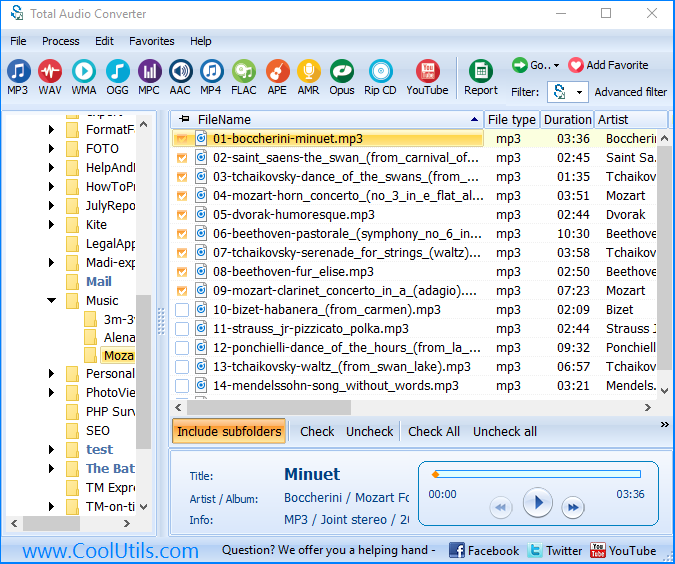 Total Audio Converter from CoolUtils is much more efficient in this sense, it can convert the whole file folders, even if it contains tracks encoded in different audio formats and codecs. Converting track fragments of MP3 files, etc. Other free solution for converting WAV to MP3 is Free WMA MP3 Converter from Koyote. It is rather functional converter but totally unsuitable for processing many files at a time. It takes too long to export a batch of WAV tracks to MP3. 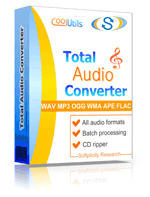 While Free WMA MP3 Converter is free it promts to buy the pro version for $24. The program interface is a little bit complicated, especially compared with Total Audio Converter. The last one is better in sense of usability, and its functionality impresses! It is like the all-in-one audio converter for all possible user needs.